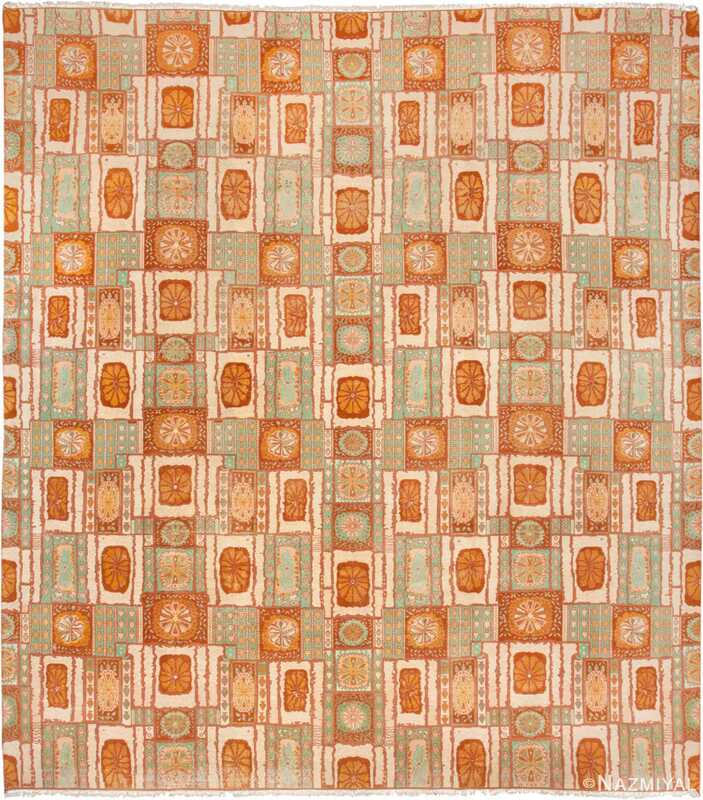 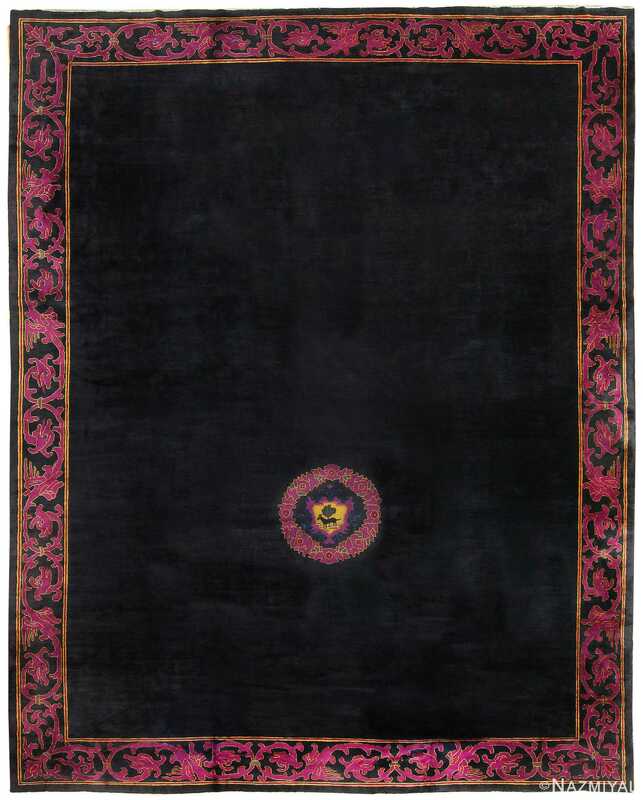 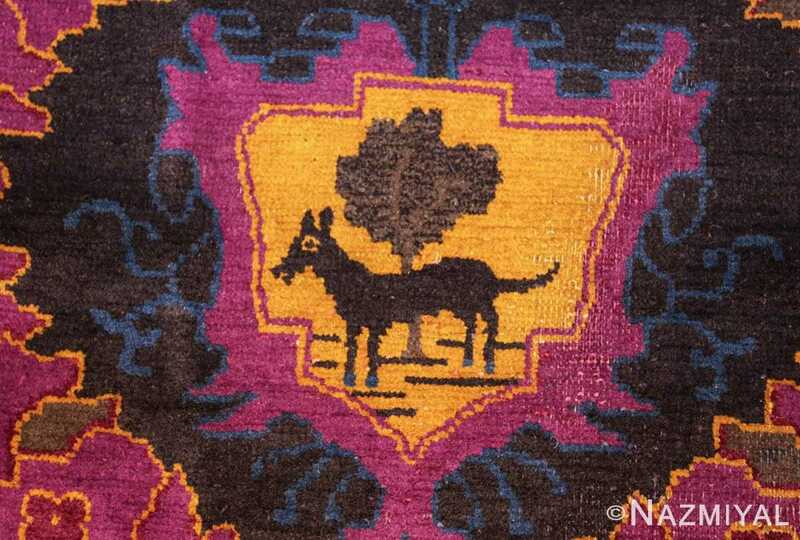 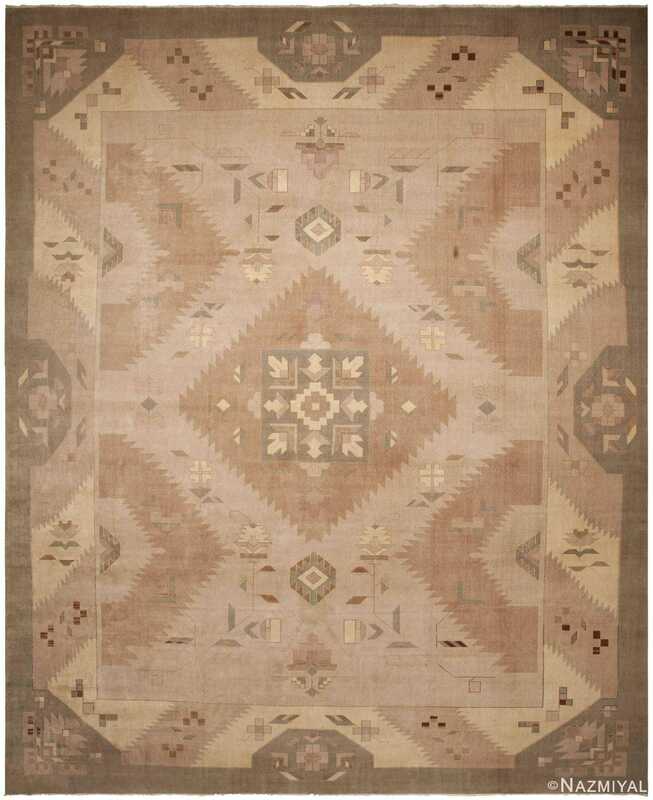 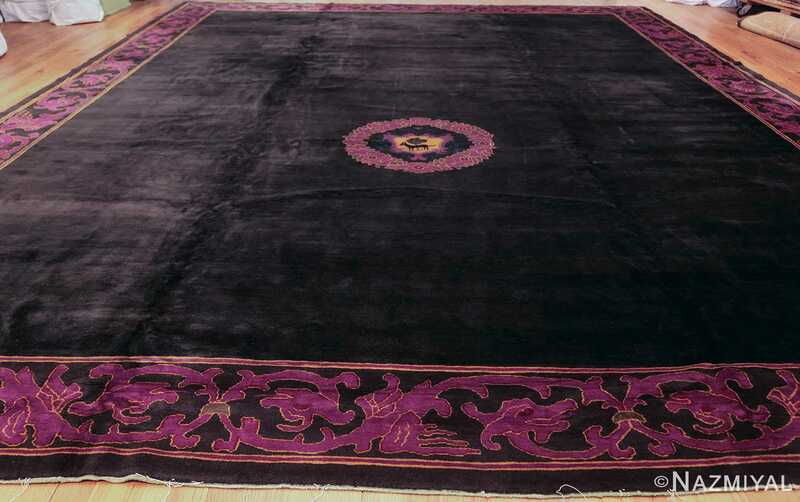 Art Deco Chinese Rug, Early 20th Century — This elegant Chinese rug carries a single purple, red, green, blue and golden medallion against an almost black colored field. 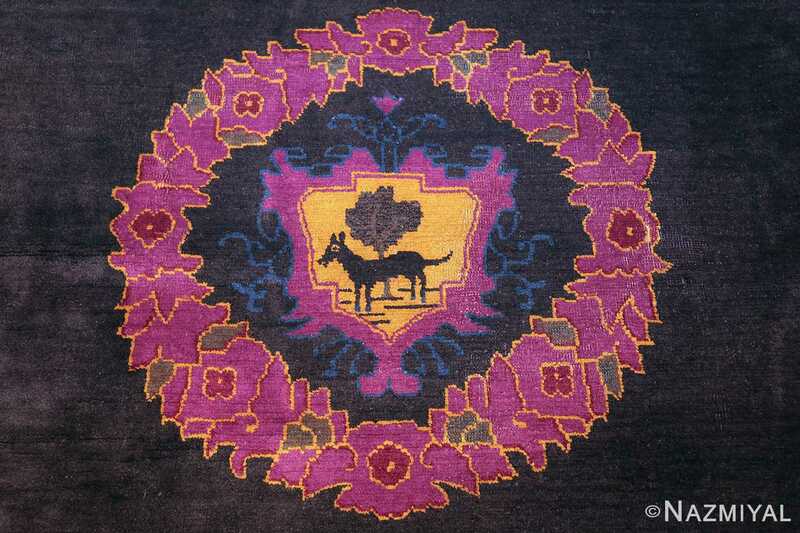 It depicts the bountiful gift of abundant life through a green and red wreath encompassing a gold shield bearing the image of a horse and a tree. Both figures stand upon the lined surface of the ground. Significant details emerge from this scene, as a purple haze and fine blue mist emanate outwards from the shield towards the enclosing wreath. 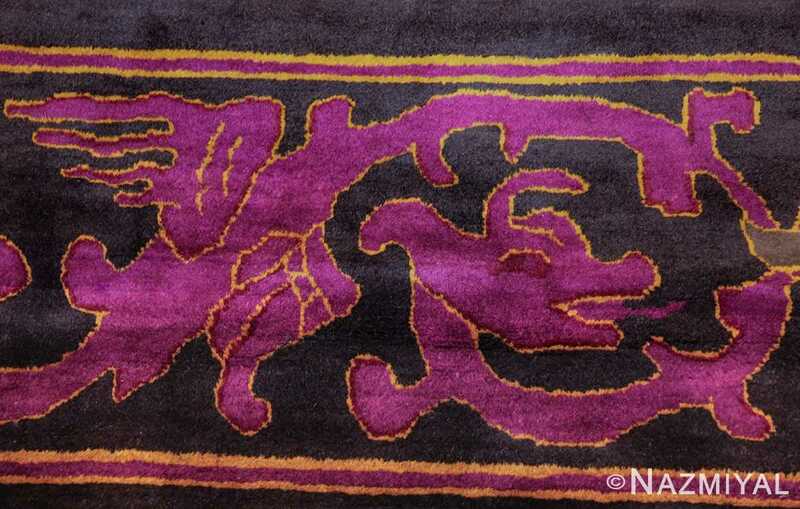 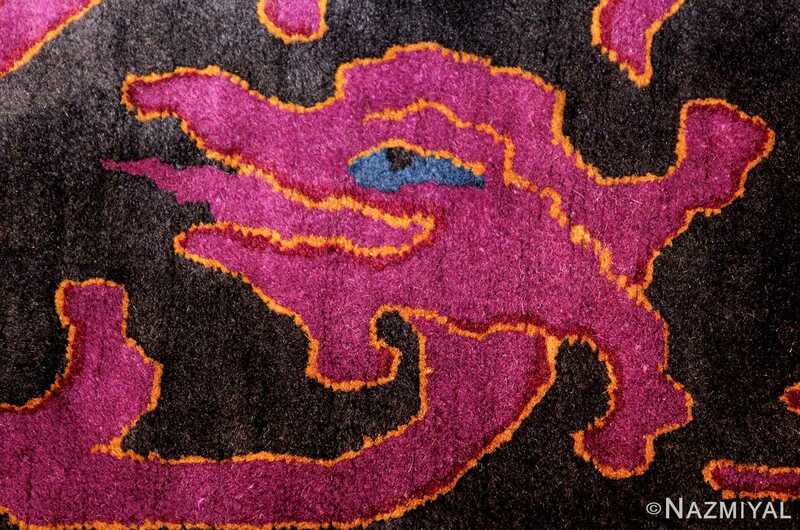 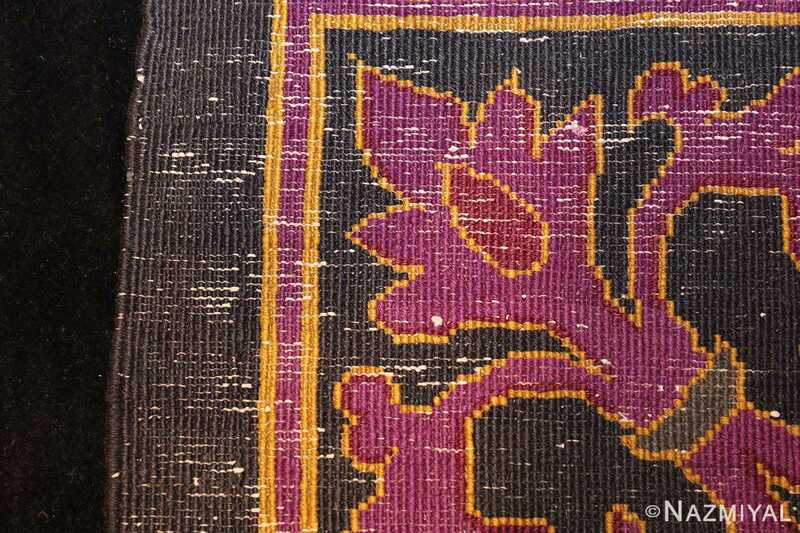 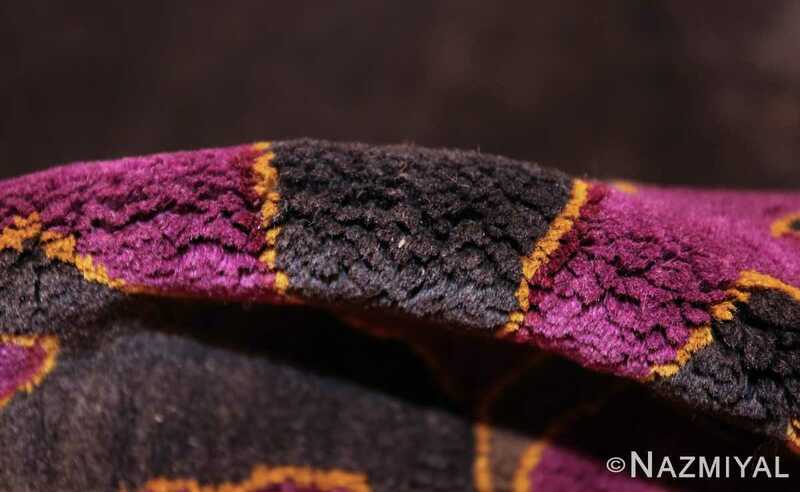 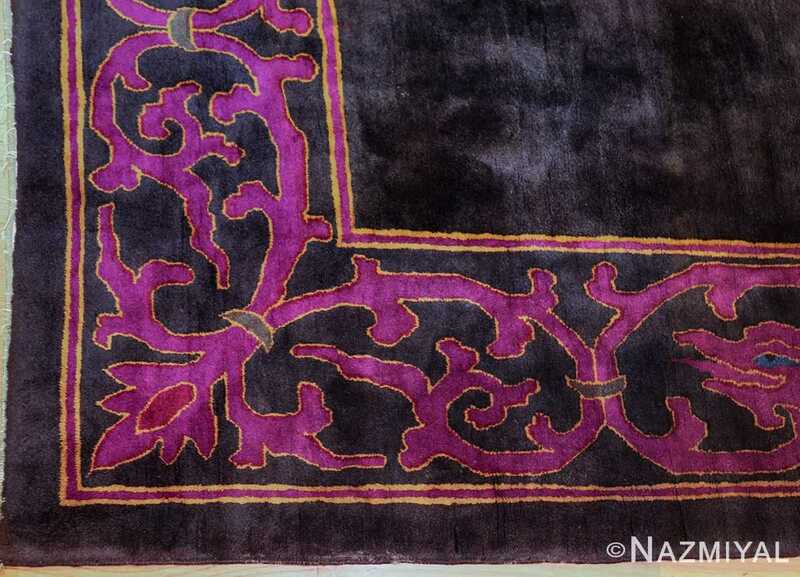 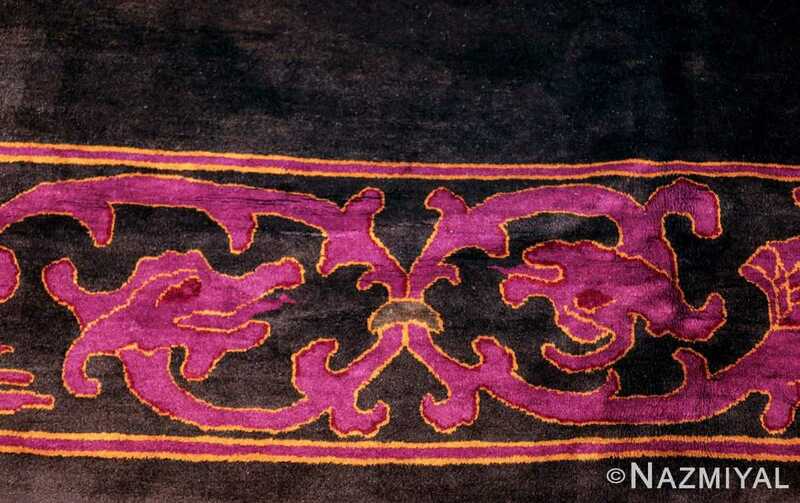 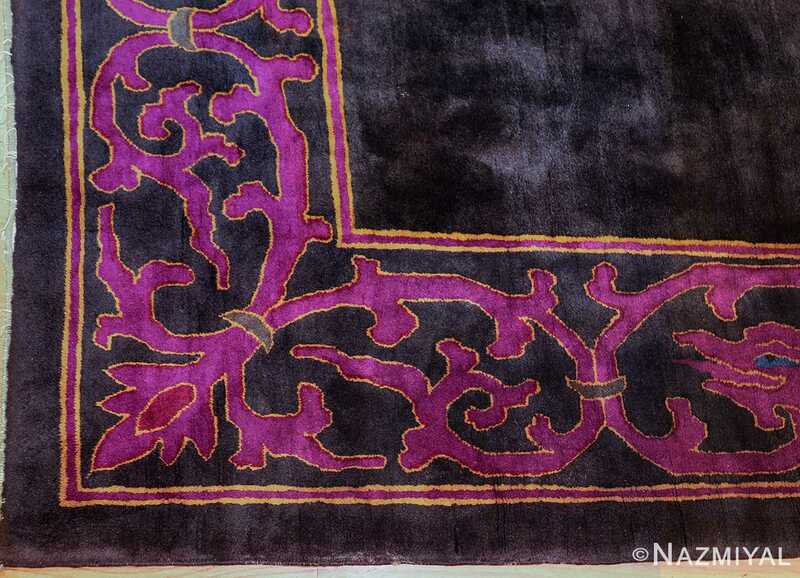 The border of this Chinese rug displays predominantly purple animal and plant symbols in a continuous scroll, surrounded on each side by narrow bands of purple guard borders edged in fine bands of gold. 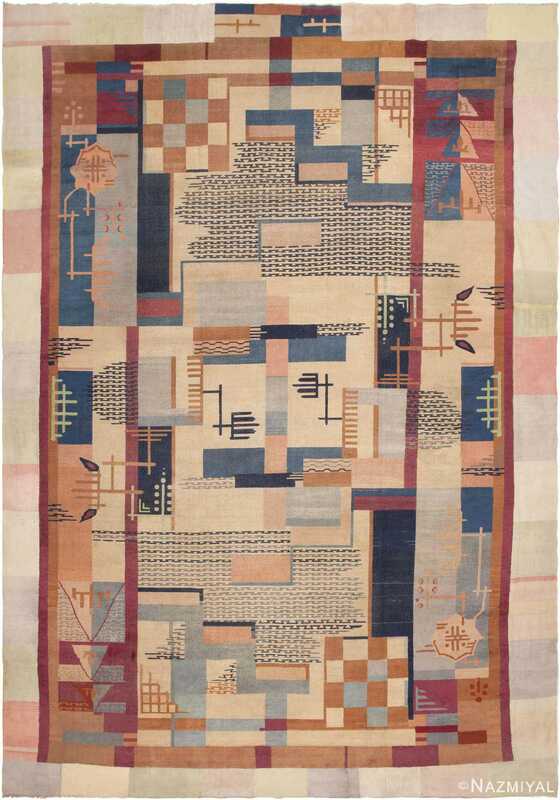 The Art Deco Movement gained adherents during the first few decades of the Twentieth Century, reaching a peak of popularity following the end of the First World War; China during this period experienced considerable political turmoil and material abundance remained an important objective for many families.